Showing all 4 posts in October 2014. In Whitestar, we enjoy events. We organise them regularly for all our guilds accross all our games. Social events, Dungeons run, adventures, even PVP once in a while! Sometimes it's challenging to imagine events where all our members can participate, without level restrictions. But we do our best to have events for every taste, for all our members! Most of our events are organised by the Guild Leader or one of its officers. We do encourage our regular members, even our trials to take the initiative and to organise an event themselves. This add more dynamism to the guild and give more opportunities to have fun all together. Our events are announced on our Nook calendar, with details and informations and reminded in the TIP of the day. One of the favourite activity in Whitestar is the Trade run. However, a trade run event can hardly be organised in advance, due to the zones being in conflict or at peace according to the server activity and we have no way to predict this in advance. There is only one save route that can allow us to make some proper gold while taking zero risk. And that's the route we are choosing to organise our Caravans. We gather in Gweonyd to create our packs of specialities that we pack on our Tradecart, or if we do not have any, on our donkeys. While everyone is getting ready, we enjoy to park our karts in a pretty line, which eventually attract attentions of random players. We press our horn, and we start the run, all in line following the one in front of us. Not much is happening during a Trade run, which leave us the occasion to chat on teamspeak, having fun together and admiring the landscapes as we cross them. Once we arrive at destination, we drop our packs to the Gold Trader, satisfied to have mixed profit with a social event. But we never end a Caravan without a little celebration. One time, we had Internet getting his Clipper-boat pulled by Hultay's kart, while Cornilius, Lunadra and myself were dancing on the boat, with a music box on my back. We managed to go so far as Marianople in our weird Parade. Many random players toke the chance as they saw us passing by to climb in the boat and they started to dance aswell. The Caravan organised by @Kitiandra didn't stopped at Ezna. Instead, Hultay lead the party by sea with his clipper, and everyone sold their pack to the Sanddeep GoldTrader for some extra gold! One of our project, in future, is to organise a huge donkey-caravan, open to everyone in the server. 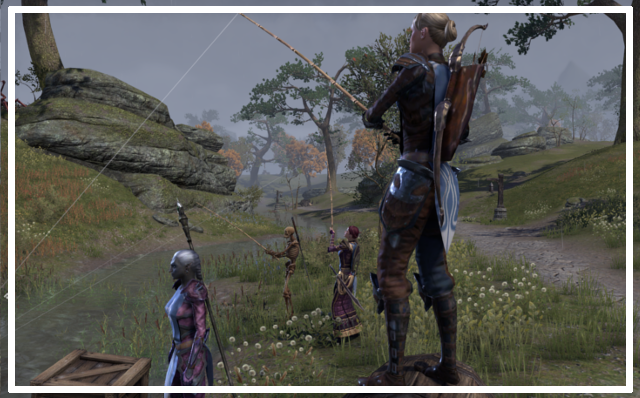 Fishing in Elder Scrolls Online is an unfinished feature. Not much people are even trying fishing, as it's useless beside getting some achievement points (and since Update3, unlock some pretty dyes). 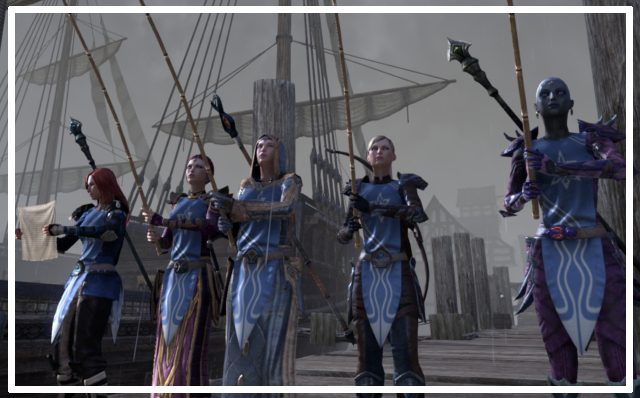 However, as I discovered along this event, fishing is fun, relaxing and an ideal activity to do as a guild to hang out together, enjoying the beauty of Tamriel landscapes while chatting on Teamspeak. This event was an idea of @Vaetilda who wanted to share with the rest of the guild the simple joy of fishing. She prepared a guide and locations to make us discover this ignored activity. Yorkeys, Mida, Animan-the-Squelton and myself started our adventure in Stormhaven. Vaetilda explained us how to differiencate the four type of water: salt, foul, lake and river, and what bait to use to catch the fishes. In case we missed a bait or another, her bags were filled with worms, insect parts, crawlers and rabbit guts. We walked arround in Stormheaven, trying to find fishing spot, and to catch rare fishes. Then we moved to Glenumbra, in the swamps surrounding Camlorn, trying to find foul water. Santrasa joined us at that point. Then we realised that we had actually spent two hours fishing! This even was a nice discovery, a relaxing evening hanging out together and spending great time. This is something we will do again. 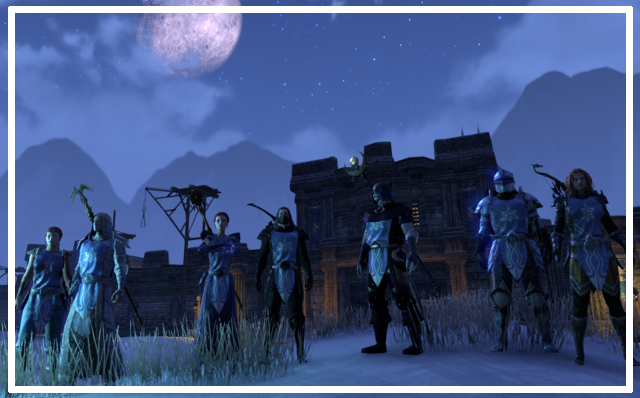 Our goal is to finish all achievements together and unlock the precious dyes. Amazing event imagined and organised by @Alakina and @Savian . Lot of Whitestarians joined. The usual gang Agagor, Neny, Vijo, Itslifejim, but also Nyahna, Lunadra, Hultay, Cornilius, Internet, SirOwe and even Sharlena making her comeback in the guild, and Ziggs who attempted to participate between two customers. 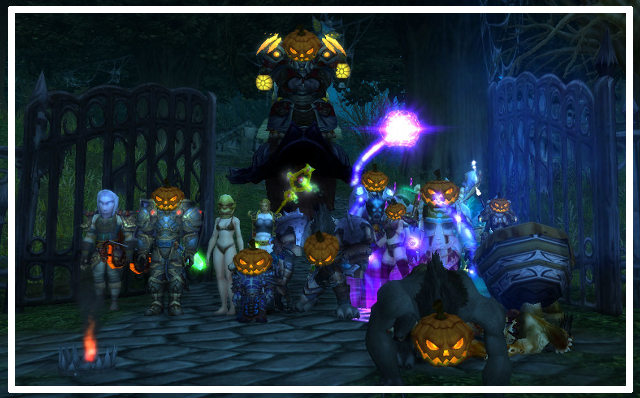 We gathered in Duskwood, in Raven Hills for the first game. We had to run away within the cemetary on our ground mount (I personaly choose my loyal White Talbuk) while Savian and Alakina were pursuing us trowing us pumkins! If we were hit by a pumkin, we were eliminated from the game. Everyone were running or hidding, laughing and joking! Sharlena and Nyahna were captured first, while Hultay was sneaking in the shadow (as worgen he didn't needed a mount) and Internet's cute gnome was hidding behind a tree...which worked for a while, but not long enough to beat Vijo, the Champion of the game! Second game was the costume contest, supposed to be a transmogriff contest, but participants had misunderstood and therefor Alakina accepted the use of toys and costumes. Sharlena was wearing a creepy gaz mask and a simple dress, Nyahna was disguised as a succubus, SirOwe had a anti-radiation gnome suits, Internet was a evil little gnome witch, Neny was wearing a cook hat, and Agagor a Pumkin head, while Itslifejim was wearing a terrific Troll plate armor. I had, of course the best disguise, dressed as a terrible Arrakoa! We will never know why Lunadra, disguised as a naked orc didn't participated. Third game was the ground mount race! Starting from Zul'Aman, the finish line was BootyBay! We had to cross all EasternKingdoms! Unfortunately the race started with a loading screen which make Internet crash his game, and abandonning at the very start. Lunadra immediatly toke the lead, followed by Sharlena, Agagor and Neny. They all disputed the second place while Luna was riding like a shooting star! Far behind, Nyahna and I toke a wrong path and we lost ourselves in EasternPleagueland. As we had no chance to get back in the race, we decided in Strongletorn Valley to cross the finish line together in the Sidecart! At the top, the battle was hard between Agagor, Cornilius, Neny and Sharlena. Sharlena was killed at BootyBay' entrance, 'cause she had been a meanie in the past with the Goblins. The event finished on BootyBay's dock. Everyone that bought lottery tickets recieved some wrapped packet in their mail box. A unfortunate bug made some packages desepear. Bad Blizzard! I won a rare pet, a fierce Tideskipper! It was really a great event, and everyone had tons of fun! Whitestar is a place where to gather friends and allow them to enjoy their favourite games together. It's not as easy as it seems. Whitestar is a small core of people with different tastes, interest, gamestyle, and time on their hand. We are a tiny community spread in three guilds and even more games. How to organise ourselves to be sure to not cross and miss each others while logging in our favourite game? As we have a fair amount of new members – I'm taking the chance to welcome them again in this thread @CunningB @Tufan @Vaetilda @luther @Celebryn @yorkeyg @Rimmorn @Alana – I though it was a good idea to remind of the method we are using to ease our organisation. As our guilds are small (for now), we needed to concentrate the activity on certain days. 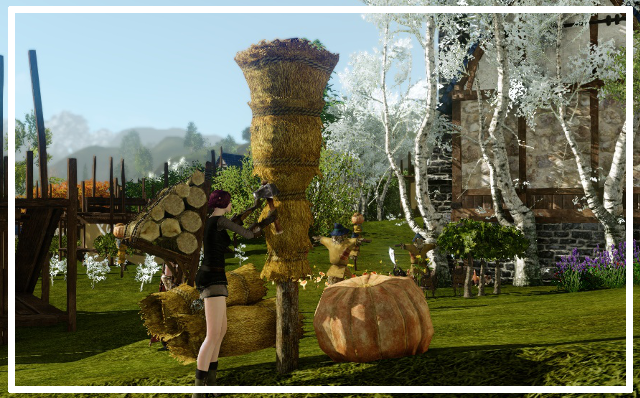 Important events are organised those days to allow players that play several MMO and want to be active in several guilds to not have to sacrifice an event for another. If you are playing several games, try to respect this schedule. This allow us to be certain that the guild will be very active on said days. This is the image you see every days stickied on our wall. It's a reminder of the game of the day, of the events organised, and it allow our members to organise themselves more easily. - "Guys, I want to try the new Dungeon in WOW, anyone up to play with me arround 5?" - "I'm currently playing ArcheAge, going for a Trade run in 15min"
- "Remember our Cyrodiil event, tonight at 21h.Be on TeamSpeak"
Do not hesitate to give rendez-vous to other players, tag them (@<name>) to get their attention, organise your own mini event using the TiP. Guild leaders and officers organise events to concentrate our activity on certain days. In that case, even if we have a tiny guild of less than ten active members, we will always have fun together! Major events are organised on Schedules days, but sometimes other events are organised on different days. It all depend of the dynamism of the guild. We highly appreciate when our members sign up an event (accept – maybe - decline). It make everything easier to organise. It's also a good use to have for future as at some point, in some games, events such as raiding will requiere sign up and be confirmed and those signed will have priority over others. We know that not everyone want to join a voice chat, some people want to be left in peace, and some are shy or simply can not join. We do understand. But we really want to promote the use of Teamspeak. We really hope than in time, people will log in Teamspeak when they log in a game, even with the sound cut. This to allow more easy communication, being able to see who is playing what, increase our social interaction and allow us to chat (by writting) if nothing else. So far we have not been very succesful to promote TeamSpeak, but we will not give up. 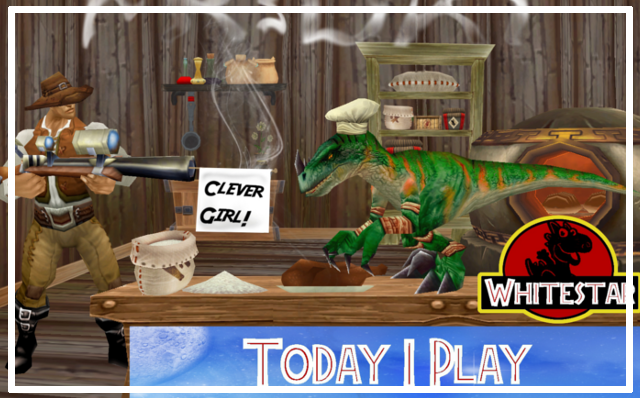 We really do believe it's a great way to create contact and bond with other players! The Saturday, we used to organise Community Night such as Diablo, or Tera. We ended to drop the idea of organising events, and leave the day free for members initiatives. However, we often start the evening with a monthly Community meeting, which is the occasion for new players to introduce themselves and get to know others, to make a roundtable for everyone to share their opinion, and to announce important changes. We also organise regularly some funny competition on TeamSpeak. Those are announced in the forum Contest, and players can earn points that are registred in the leaderboard. Those point will allow the winner to win a prise et the end of a season. Anook is our forum, our website, our blog, the place where we gather, we chat, we organise ourselves and we share ideas. Lot of our members are exclusively playing one game, while some others are playing several games. Anook is the only place where you can get aquainted with everyone, stay in touch with everyone, no matter how is your activity in game. Our goal with Whitestar is not to create nice guilds. It's to create a community where all our members know each others even if they are not playing games together. And who know... one day maybe @Mida and @Baktra that are respectively playing ESO and ArcheAge and are never playing together will both meet in EverQuestNext2 or StarcraftOnline (or whatever MMO we will fancy to play) and they will be happy to already be familiar with each other. WOW Silver Challenge, we did it! Today we celebrate a victory! Savian lead his little group through all Challenges and succeeded to get a Silver medal for all! It's a double victory as it's the first time since our rebirth that Whitestar gather a group, learn teamplay, and progress with dedication and focus! This is a promising omen for our future in Warlords of Draenor when we will gather everyone together and we will start to delve into the new content and the new challenges. This victory earnt by @Savian, @Agagor, @Neny, @sM0Ke and @Vijo is a victory for the whole community! In the same way than @Nehr, @Hultay, @Patchorus, @LunaDra and @Rhashazi finished Stormtalon Hardmode in WildStar some months ago, it shows that Whitestar is capable of pulling its weight to defeat challenging content, once a group is dedicated, focused, and do not give up! May this inspire allour members accross our three guilds. May this inspire us to be ambitious and eager to overcome difficulties as a group, as a guild, as a community! And here we have it folks! Challenge Mode Silver 9/9 achieved tonight by the Roughnecks of Whitestar, Argent Dawn EU! It's been a wondrous adventure with lots of death, fury and annoyance but in the end none of the irritation matters anymore! We did in a few weeks what many thought impossible, especially with our setup. This goes to show that perseverance will be rewarded! With Phoenix mounts! My deepest thanks go to the following people: frauleinpink for her awesome healing, great attitude and resistance to heart attacks. YouDontSay for his tanking skills, Dwarven ability to drink beer all day and rest-providing smoke breaks. Agagor for his Elemental pewpew, Heroism (literally!) and GrumpyAga mascot-ness. Vijo for gearing his fresh 90 in record time, playing it excellently and for providing even more relaxing breaks whenever he dc'd at 9.10 every.single.night. 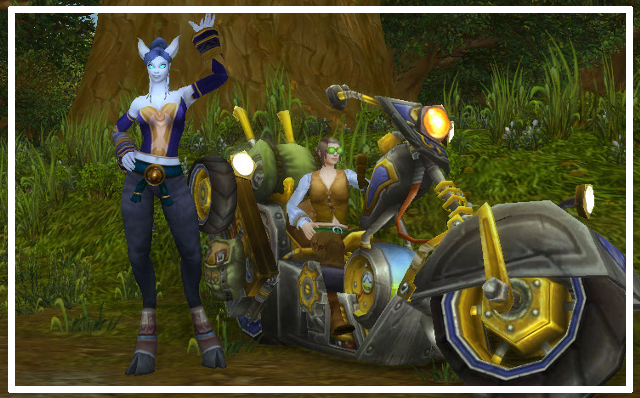 Now we shall all enjoy our week of free time before 6.0 hits and removes these Pandaria Challenge Modes forever, along with the title, mount, pet and transmog sets. But rest assured, the Roughnecks and the rest of Whitestar will be back for a new round of Gold Challenges at level 100! *takes a deep bow* It was awesome! AHOO! It's seven months that we are working on our project Whitestar, and seeing taking shape step by steps. What are the news this Fall? 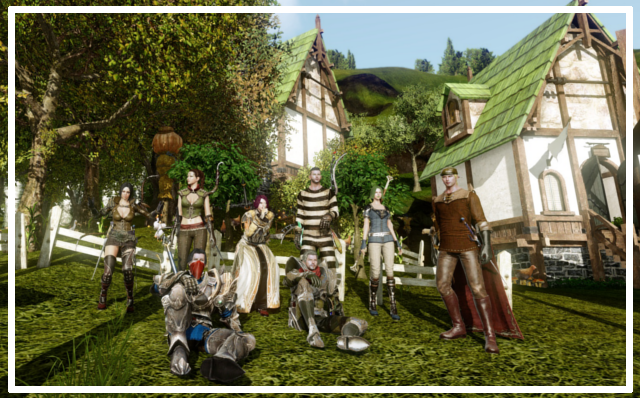 Whitestar is now established in ArcheAge on the server Nui. After a mitigated success on Kyprosa, we decided to move to Nui to avoid hours of queue, and the character restrictions (that has only be lifted yesterday). This allowed us to gather a lot more members, that are passionated and dedicated to the game. 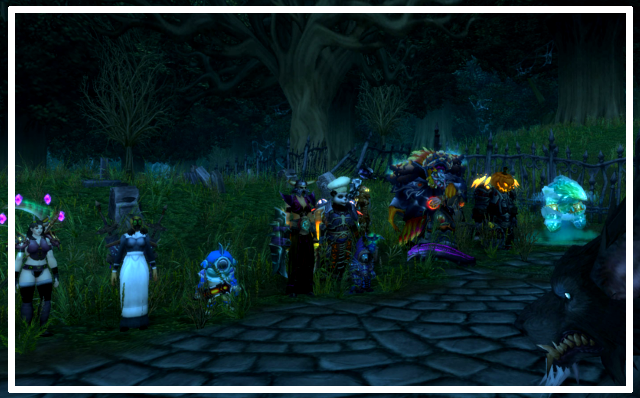 Some real life friends of members joined and we met by chance some old MistAngels that joined us! The organisation of the guild is in an on-going process. We need to discuss our goals, our wishes and how we wil organise ourselves. Due to the nature of the game, we might have to think a bit out of the box. 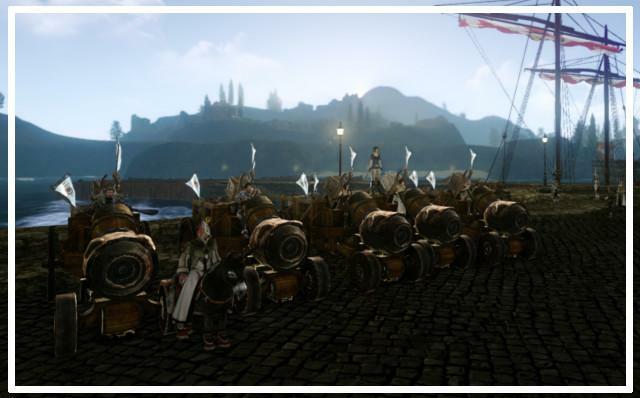 At the moment we have various guild project: boats, guild Village that are taken care off by some of our most dedicated members. We are generally helping each other a lot, and collaborating, which is a great thing. We are also doing mistakes and messing up things, but we are working on solving everything as fast as we can. We are still learning the basic of this highly strategic game. 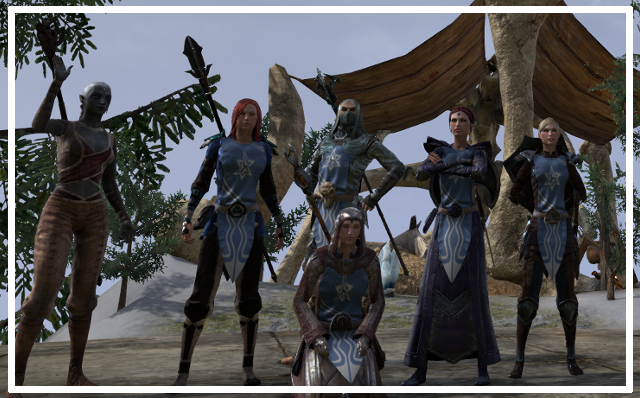 The month of June and July, our Whitetsar guild in ESO was put in hibernation, due to the release of Wildstar and the massive migration of our members. But since then the guild had been slowly been rebuild, and we have at this day, a small, cozy, but active little guild. We organise two to three events by week, and we have the Infernal Trio online every day and sharing with us the amusing screenshots of their adventures. The gap in levels between our various members is starting to become smaller and smaller: the big majority of our active members is finishing their leveling. Soon, we will have a bunch of veteran players to start to do veteran Dungeons and other activities. We have also welcomed lately several new members that need to be introduced properly in the community. The upcoming updates will also make our life a lot easier to organise events, as it will introduce the Undaunted dailies and the Scaling Dungeons. A lot of very excitting content are awaiting for us! As we are growing, our guild need to evolve and we are currently looking for one or two officers to help with the daily organisation. 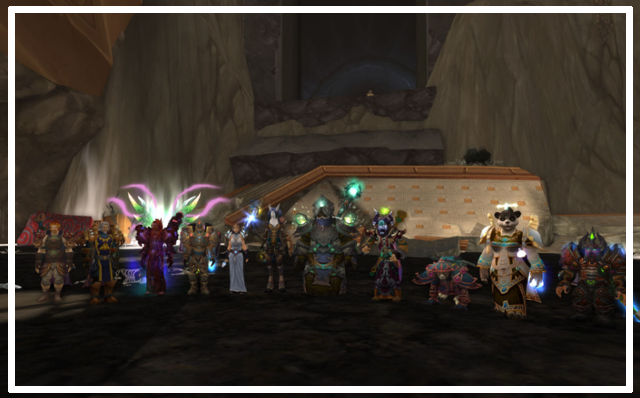 We have established a strong guild on Argent Dawn that is currently preparing for the release of Warlord of Draenor. Many members that were playing on other servers have already migrated their future main or have finished to level new characters, we even have a North American member that bought the European version of the game to play with everyone else. This show the dedication of our members! While waiting for the release of the patch, the guild organise various events: Challenge Dungeon runs, Old raid evening, and we even started to raid Siege of Orgrimar to have a taste of what raiding together will be in WoD. Note that some of our members have never properly raid beside LFR, and some other didn't raided since Wrath of the Lych King or before. It will take time to adjust to each others, to learn to our new members the basics of raiding, and to remember old routine for others. This is very excitting time and those events are promising lots of fun once the expansion hit! In addition of those events, we have a Whitestar Daily to perfom, imagined by our beloved leader! We have unfortunately abandonned and deserted the game. Many of us loved it, but there was something that just didn't work out and in the end members started to fade away ones by ones. We still believe that WildStar is a great and promising game, and hopefully sometimes in future we will want to give it another go. Many things are already organised to favourise bonds between our members that arenot playing the same games, and we will continue! TeamSpeak: we encourage everyone to join TS, even if its to iddle in the AFK room, sound cut. This to allow better and faster communication! Saturday Team Speak contest: Once is a while a TeamSpeak contest is organised.It's fun! It last an hour or so, and it allow you to have a good laugh with other members! And of course, the most important to earn points and attempt to beat Agagor! Check out the Leaderboard. Monthly Community Meeting: Every month we organise a community meeting. This is the opportunity for new members to get introduced, to share with you important news, and to give you the chance to express your concerns or share your ideas! Very soon will be organised the "Whitestar Mission" where members will be encouraged to do something a bit crazy or silly that shoudl reinforce the bonds between our various members! While we have a core of members that are very active on our forums, we also have a lot of members that are still pretty unactive. We really would like to encourage them to participate more! Spread the word, spread the love! The Council also need help, and the first and best help you can provide is to be active and dynamic yourself. This generate more activity as a whole and encourage other to follow your example! All in all, I do believe that our Whitestar project is growing nicely. 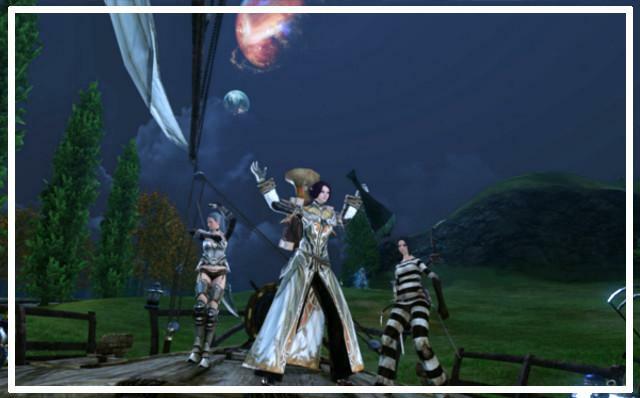 Our community expand slowly, but surely, and we have three active guilds where to have fun together! Let's not rest on our victory however, and let's continue with our effort, our dedication and our dynamism to build Whitestar and to make it the best community ever existing in the MMO universe!